France Télévisions’ programming chief Xavier Couture is to leave the group early next year to focus on personal projects. Couture, who is director of strategy and programming at the public broadcaster, will leave at the end of January or the beginning of February. News of Couture’s departure was first reported by news site Puremedias.com on Monday, and subsequently confirmed by the broadcaster. According to Puremedias.com, Couture is committed to the creation of an institute of media studies that would preclude him continuing in his role at the pubcaster. Couture, 66, was appointed by France Télévisions director-general Delphine Ernotte just over a year ago, replacing Caroline Got, who moved to take over at flagship channel France 2 in place of Vincent Meslet. 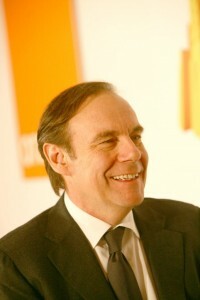 Both Couture and Ernotte previously worked for Orange. Couture, who previously worked for TF1 and Eursoprt and was briefly CEO of Canal+ before joining Endemol in 2003. He joined Orange in 2007, taking charge of content and was subsequently placed in charge of new business areas and communication. He left Orange in 2013 to work for various media companies in a consultative role. Couture was hired by Ernotte in part for his digital expertise. At the end of last year Ernotte outlined plans to launch an SVOD offering that would help the broadcaster offer an alternative to international OTT TV providers such as Netflix in the French market. However, more recently France Télévisions has been asked to find additional cost savings and little has been heard of its on-demand plans of late.